Most everything. Claudia and her staff were really wonderful and even made special arrangements for us which was greatly appreciated. Host was extremely friendly and helpful. The apartment was adorable - right on the waterfront! Great location for view of the quay and the port, and the bay. Right next to a great restaurant for dinner. Hostess was very helpful with arranging ride to Pula to catch the next ferry early in the morning. Just lovely. 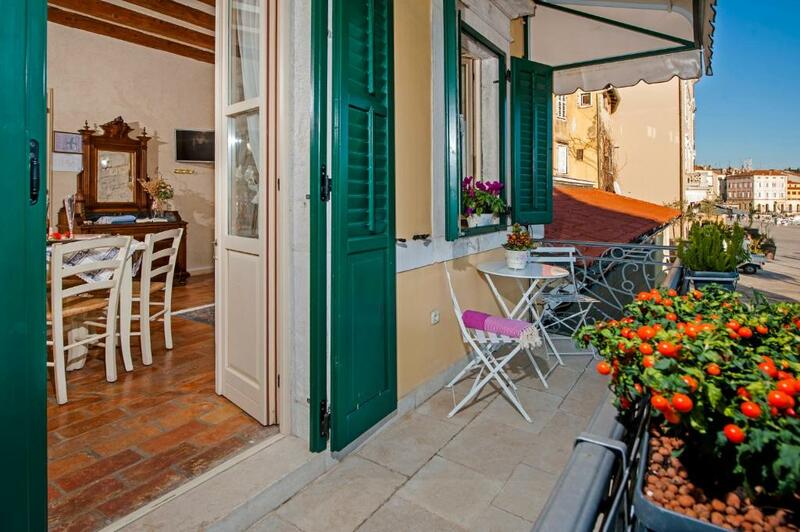 Charming small apartment in an historic building, right in the port area. Someone had really thought about what visitors might need in a space like this. Nice table and sitting area, with small kitchen -- perfectly adequate for our breakfasts (although not for cooking a dinner). Well-equipped bathroom of good size, with nice shelving (always a plus! ), a hook and towel bar (thank you!) and even a make-up mirror (🤗👏). Bedroom was of a good size, w/ one good-sized window to open for night air; comfortable bed. It was helpful that staff were onsite during the day and early evening. They were friendly and very helpful, particularly as we were figuring out where to drop our rental car, and how to get a bus to Porec, where we had to catch a ferry early in the morning. Fantastic location. I think we had the only balcony in the area. Plenty of space. Very comfortable. My girlfriend and I spent a wonderful day and night in Rovinj enroute to Dubrovnik from Venice...and LOVED it. The apartment is extremely bright with natural light and has terrific views directly overlooking the harbor. It’s in the Old Town part of the city and walking distance to everything, including the public parking lot...which is where the host met us and picked us up with a “golf cart” since we were unfamiliar with this pedestrian only village. Claudia's chauffeuring from parking and her dining advice. 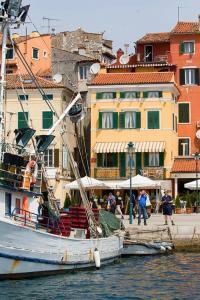 Rovinj we found to be one of the most pleasant places to stay in Croatia. Rovinj is a perfect place to make visits throughout Istria and Porta Antica is well suited to support that. Awesome location, close to shops, restaurants, bars, sights. Right in the center of old town Rovinj. Excellent value. Would absolutely recommend to anyone travelling to the area. Great location for walking around this adorable town. The hostess was great. The room was clean, but an odd layout, likely due to the age of the building. 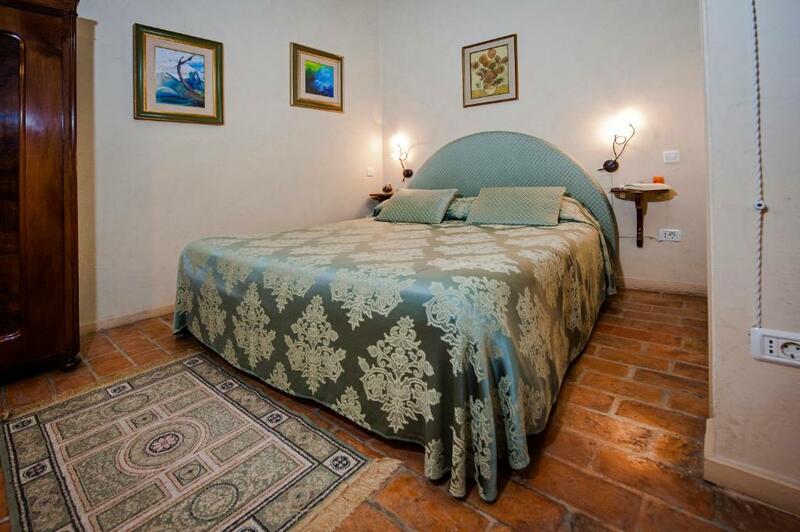 Lock in a great price for Residence Porta Antica – rated 9.4 by recent guests! Residence Porta Antica This rating is a reflection of how the property compares to the industry standard when it comes to price, facilities and services available. It's based on a self-evaluation by the property. Use this rating to help choose your stay! 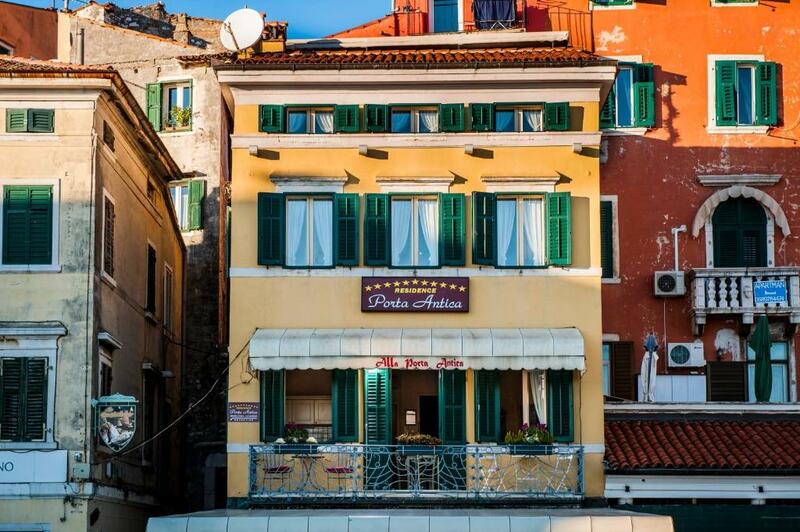 One of our top picks in Rovinj.Facing a fishing port on the west side of the Istrian Peninsula, this 3-star residence is located in the Old town of Rovinj. It features air-conditioned accommodations with free Wi-Fi. Preserving their historic features, all rooms include exposed beam ceilings, brick floors and stone walls. 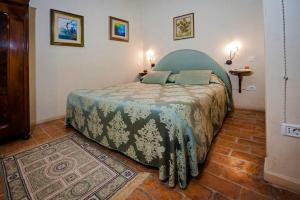 Each room at Porta Antica is decorated with antique-style furniture and has a private bathroom. Guests can enjoy walking along the promenade or spend a lazy afternoon sunbathing on the pebble beach, just 350 feet from the residence. Rovinj’s many wine cellars are also worth a visit. Residence Porta Antica is only a 5-minute walk from the Baroque St. Euphemia's Basilica and 800 feet from the Ferry Terminal. 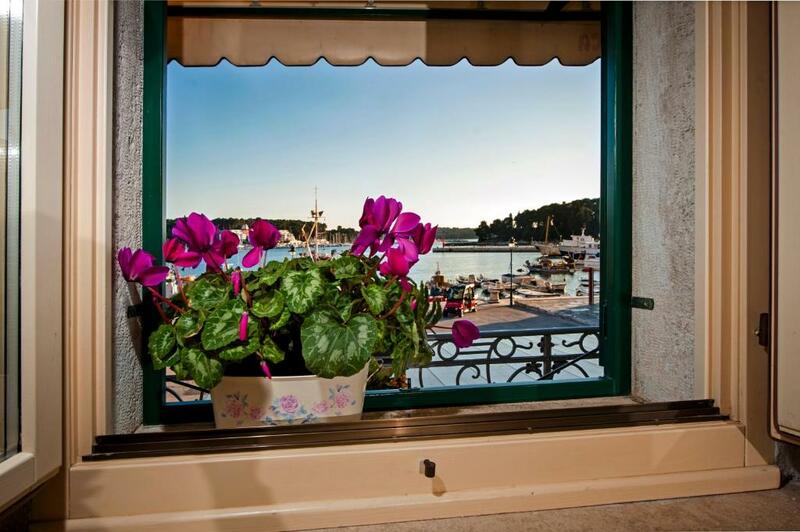 This is our guests' favorite part of Rovinj, according to independent reviews. 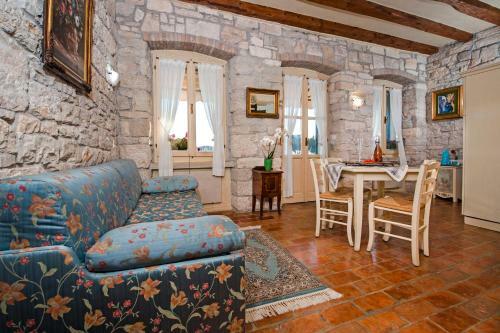 This property also has one of the top-rated locations in Rovinj! Guests are happier about it compared to other properties in the area. 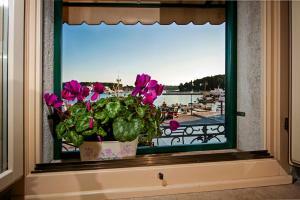 This property is also rated for the best value in Rovinj! Guests are getting more for their money when compared to other properties in this city. 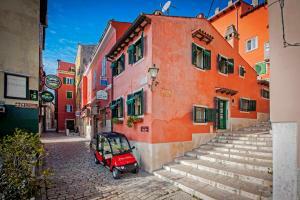 뀐 Located in the real heart of Rovinj, this property has an excellent location score of 9.9! When would you like to stay at Residence Porta Antica? This air-conditioned apartment features hardwood floors, stone walls, satellite TV and a fully equipped kitchen. This air-conditioned apartment features an LCD satellite TV, traditional stone walls, fully equipped kitchenette and a furnished terrace. This air-conditioned studio features hardwood floors, a fully equipped kitchenette and a TV. This split-level apartment features air conditioning, hardwood floors and stone walls. It offers a fully equipped kitchen and a TV. Overlooking the Adriatic Sea, this air-conditioned room features a safe, an LCD satellite TV and stone walls. Please note that this room is set 164 feet from the main building and the reception. This air-conditioned room features a safe and an LCD satellite TV. This air-conditioned apartment offers hardwood floors and stone walls. There is a sofa and satellite TV. A fully equipped kitchen with kitchenware is included. Porta Antica is located in the historical centre opposite the fishing harbor. The former hotel Porta Antica in 1850, restored in 2005 and turned into confortable and prestigious apartments. Take the most out of the beauty of Rovinj which was blessed with wonderful sea and delightful sunset. Give yourself a vacation to remember. Its uniquely beautiful landscapes, especially rich cultural-historical heritage, unbelievably branched out archipelago with approximately twenty islands and islets, its more and more developed offers, especially in the fields of gastronomy, catering, sports and recreation, entertainment, and in the last while its more and more sought after and esteemed agro and eco tourism in surrounding areas, serve to promote Rovinj, making it an attractive tourist destination that will remain deeply engraved in one's memory and will be a place where one will always be happy to return for a visit. 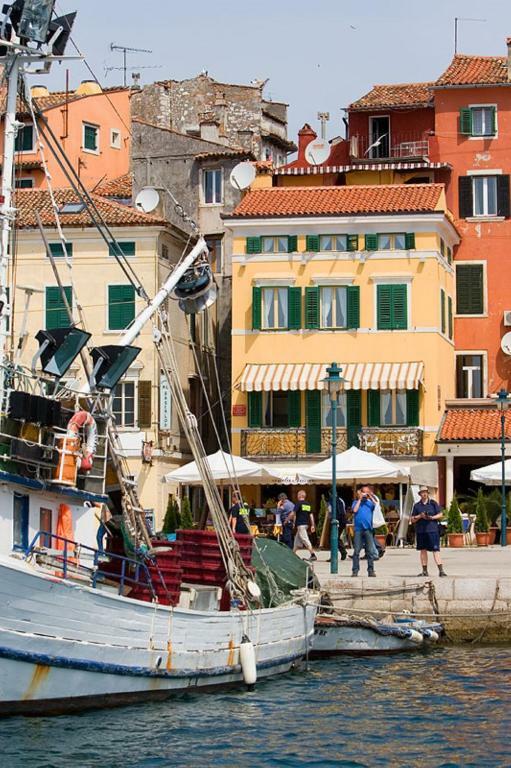 Circled by the Adriatic Sea, Rovinj old town’s buildings date back to Venetian times, featuring incredible orange, yellow, and terracotta colors. Don't miss out on St. Euphemia Church and its impressive views. House Rules Residence Porta Antica takes special requests – add in the next step! Residence Porta Antica accepts these cards and reserves the right to temporarily hold an amount prior to arrival. Please inform Residence Porta Antica of your expected arrival time in advance. You can use the Special Requests box when booking, or contact the property directly using the contact details in your confirmation. 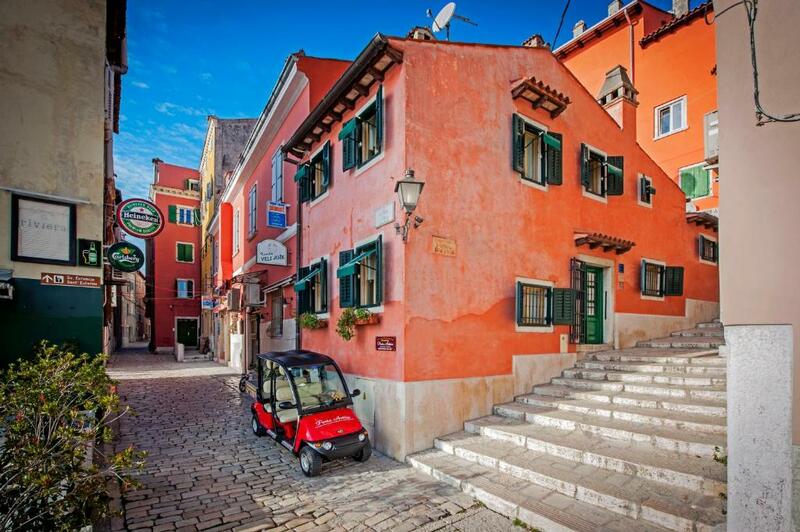 One of the most picturesque neighborhoods in Rovinj! The property, room and location were perfect. The only negative (a small one) is that the mattress was a bit stiff. We would 100% stay there again in the future. The location is spot on. A lovely and very clean apartment and great hosts. The bed could have been a little more comfortable! The location was great. In walking distance of restaurants, "beach" etc. Communication was really good...allowed us to check in early!! Staff were very friendly & helpful. Made a difference having them on site when we arrived. Best location. Great value ( end of season) Claudia was very helpful for check in , helping with parking , luggage . A great resource in Rovinj . Nothing except the climb up 2flights of steps, but that is expected. The apartment was spacious and the view from the front windows looked over the port, nearby restaurants and all the activity. Claudia picked us up from the parking in the buggy and drove us to the front door. Both Claudia and Petra were charming and helpful in every way. Super nice host, perfect place. Spacious room, basically the entire floor. Great view of the harbor. Central location. Very friendly host Claudia, always attentive and full of good suggestions. Everything was just perfect. Our room, location couldn’t have been better. Claudia met us where we were dropped off on arrival, and helped us with our luggage to the residence. Nothing was too much trouble. Her recommendations of restaurants, things to do, really made our holiday beyond fantastic! Great location, right in the thick of everything. Claudia was extremely helpful with collecting us and our luggage from where we'd parked our car, as well as anything else we needed assistance with. Petra is lovely to deal with too. Cute, attractive little apartment.